Wat is dit voor site? Wij zoeken de goedkoopste boeken op internet. 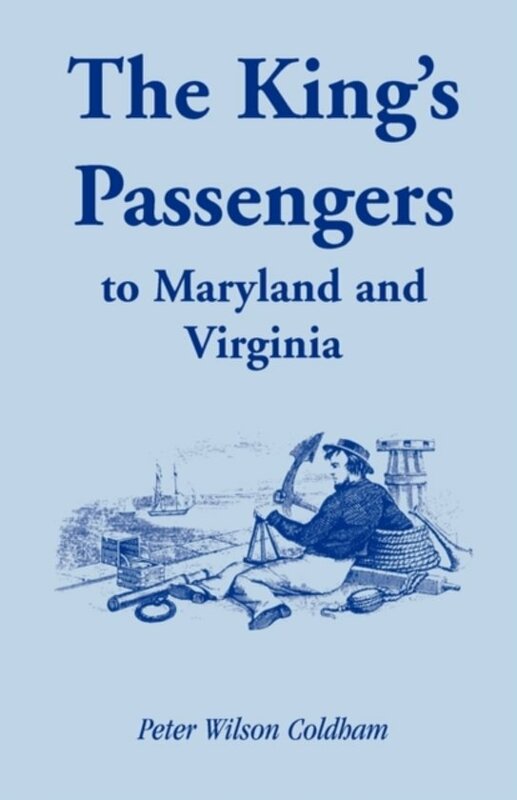 The King's Passengers to Maryland and Virginiavonden we het goedkoopst op Bol.com voor €31.99. We hebben gezocht in nieuwe en tweedehands boeken. Rechtsonderaan de pagina kan je het boek direct bestellen	via Bol	.com. Nearly 400 convict ships carrying 50,000 men, women and children left British waters bound for the southern colonies of America where their human cargos were sold. With remarkably few exceptions the transportation ships frequented the ports of Chesapeake Bay where, for almost 100 years, facilities had been developed for the reception and sale of convicted prisoners. This tidal wave of involuntary laborers became known, officially and informally, as "His Majesty's Seven-Year Passengers": they have been characterized as the largest body of identifiable emigrants ever recorded but until now no attempt has been made to bring together the hundreds of individual passenger lists which survive in English and American archives. Some 25,000 passengers are listed here. They are shown alphabetically by surname and in the order of the English cities or counties where they were condemned. A comprehensive list of convict "runaways" has been compiled from contemporary Maryland, Virginia, and Pennsylvania newspapers and cross-referenced to the passenger lists. A separate section is devoted to the later careers in the colonies of twenty known felons from England, including one for whom there is some evidence of royal descent.